Admit it. When you heard the Clinton’s house burned, the thought crossed your mind: What are they hiding. It reminded me of when Al Sharpton’s office burned right around the time the IRS was investigating him about non-payment of taxes. As Al Sharpton ran for mayor of New York City in 1997 and for president in 2003, fires at his offices reportedly destroyed critical financial records, and he subsequently failed to comply with tax and campaign filing requirements. The first fire began in the early hours of April 10, 1997, in a hair-and-nail salon one floor below Sharpton’s campaign headquarters at 70 West 125th Street. But a source knowledgeable about the investigation tells National Review Online that Sharpton’s office was mostly empty, and that the damage was not extensive. A fire broke out Wednesday at property owned by Bill and Hillary Clinton in Chappaqua, N.Y., authorities said. 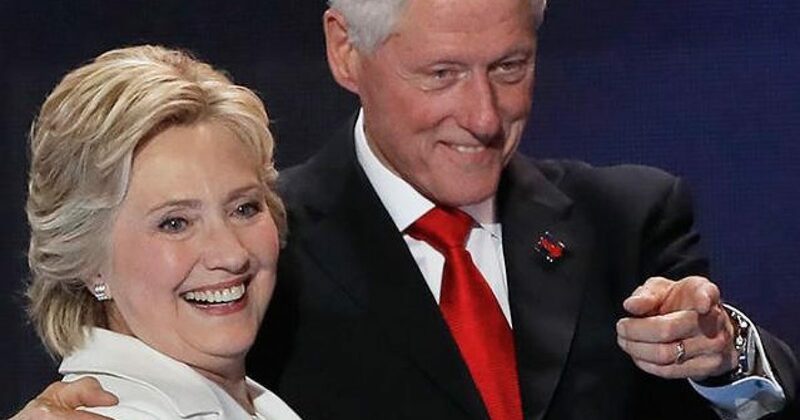 The flames erupted in the ceiling of the second floor in a Secret Service structure behind the Clintons’ home, a Secret Service spokesman told Fox News. He said the Clintons were not on the property at the time. No injuries were reported. Police in New Castle, the Westchester County town that encompasses Chappaqua, confirmed the fire was on the couple’s main property. I wonder if any servers were burned in the fire? Can’t go letting the Department of Justice look at any potential emails from The Clinton Foundation. Anybody curious as to where this fire occurred? No, not the house, but the specific part of the residence? I’m wondering if we will hear later that the Clintons wanted to turn over all information related to The crooked Clinton Foundation, but they lost that information…in the fire? Any video of this fire? One has to imagine that the Clintons have plenty of security. Will we learn that some masked man that look a lot like Eric Holder was seen fleeing the scene? The possibilities are endless. Because we know the lengths to which the Clintons will go to cover their tracks. And I learned just today that any shenanigans by The Crooked Clinton Foundation have a statute of limitations of 5 years. Thus, conveniently their crimes expire in 2018. The Justice Department has launched a new inquiry into whether the Clinton Foundation engaged in any pay-to-play politics or other illegal activities while Hillary Clinton served as Secretary of State, law enforcement officials and a witness tells The Hill. FBI agents from Little Rock, Ark., where the Foundation was started, have taken the lead in the investigation and have interviewed at least one witness in the last month, and law enforcement officials said additional activities are expected in coming weeks. Oh I’m sure this was just a fire, for those who want to call me a conspiracy theorist. But when it comes to The Crooked Clinton Foundation, where’s there’s smoke there’s fire.